I am really liking the simplicity of this set. I can almost just sit and make cards with this set all day long. I Like it alot.. I hope you do too! 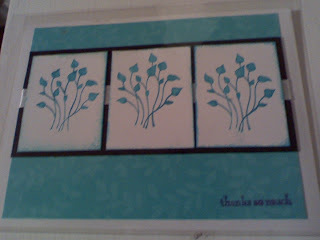 This is one of the cards we made over the weekend with the girls!